I’ve also started pairing the outfit with my holster clutch from New Ultra Group – it’s just so much convenient for going about the day than a regular clutch. You know the phrase ‘you’d forget your head if it wasn’t screwed on right’? That applies to me massively – I forget everything EVERYWHERE (someone please tell me that I’m not the only one, haha), so I guess having a clutch that is actually attached to my hand for the best! Next Post Sequinned Dress for Day & Night. 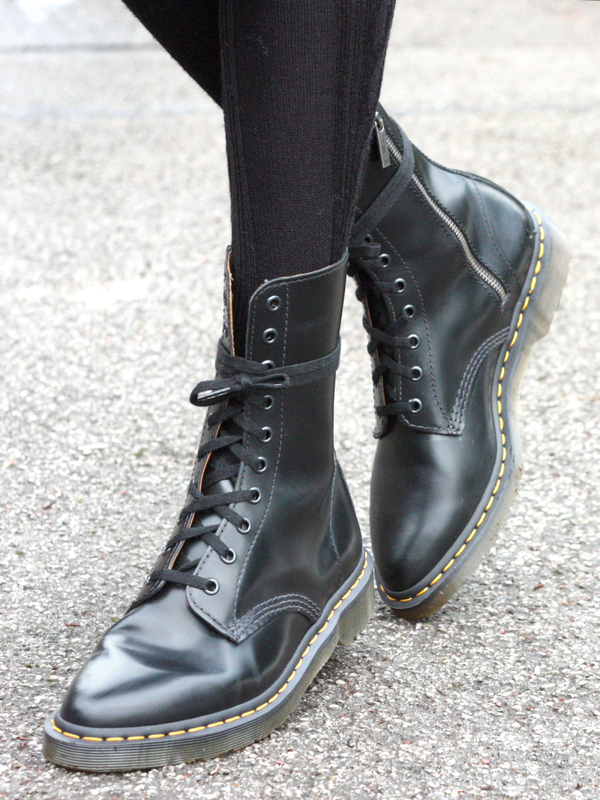 I love the pointed toe of your dr martens! your accessories are always on point! Your gothic style is so amazing. This dress is so pretty ! Love the hat and the braids too ! Ooh this is one of my favourite looks of yours. That coat is gorgeous, and I absolutely adore the pointed shape of the docs!